1: Sound recording the space for thinking; 9 Talbot Square. 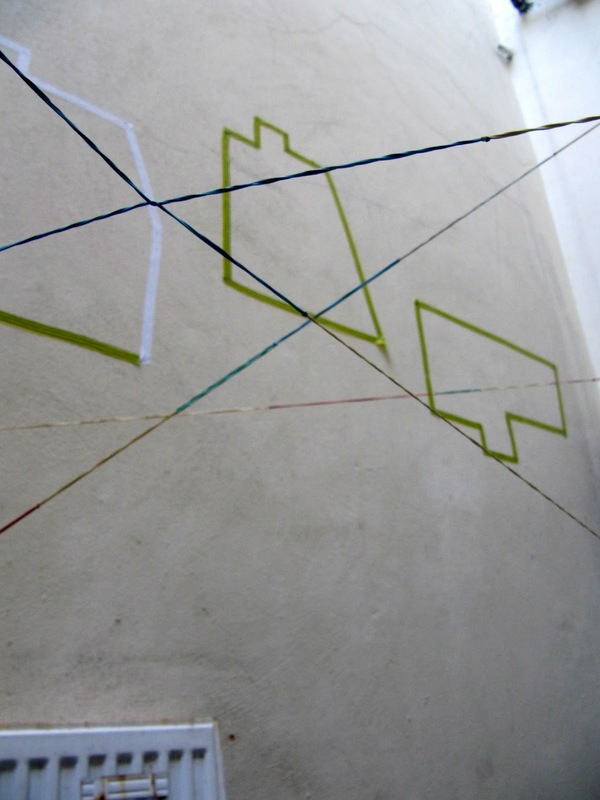 Audio response to the space by Sinead Bligh. Please click on link to play the track. 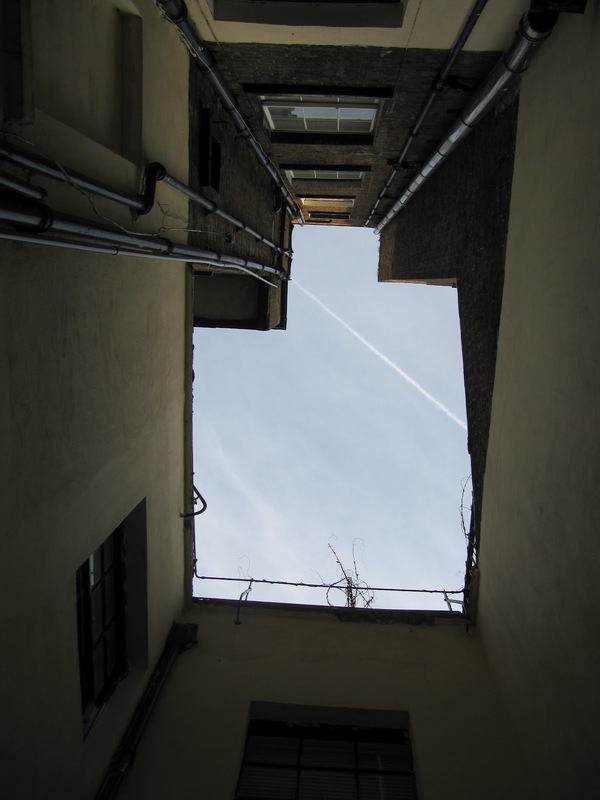 2:View looking up from 9 Talbot Square, the shape of the space. 3: Jane Rendell, Déjà vu: real and imagined space in the work of Cristina Iglesias, Whitechapel Gallery, London, April 2003. 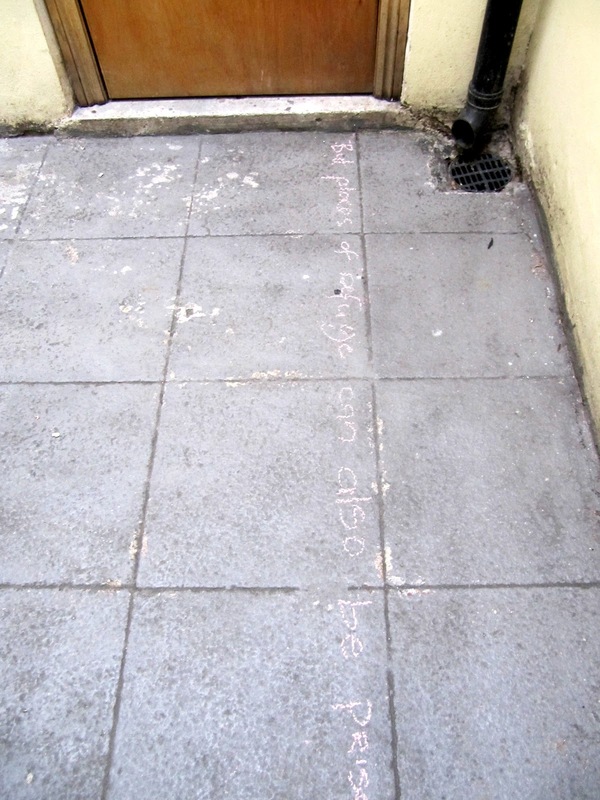 4: Written response to the space by Sinead Bligh. 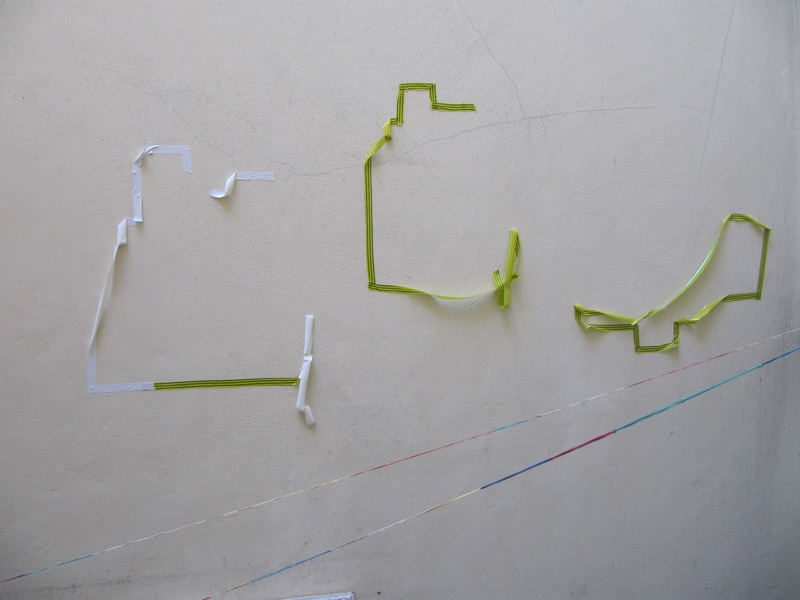 5:Visual response to the space by Rowan Richardson, over time the tape plans peeled from the wall, the space reclaiming back its previous territory, giving us only our duration. 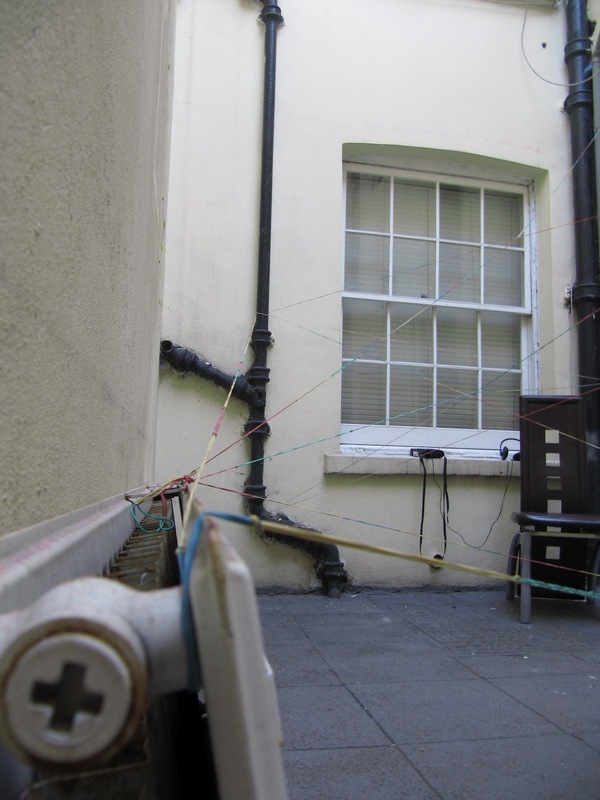 6/7:Visual response to the space by Joanne MacFadyen which intertwined the space and the collaborating interactions, creating its own narrative. This entry was posted in sound and text by Sinéadbligh. Bookmark the permalink.